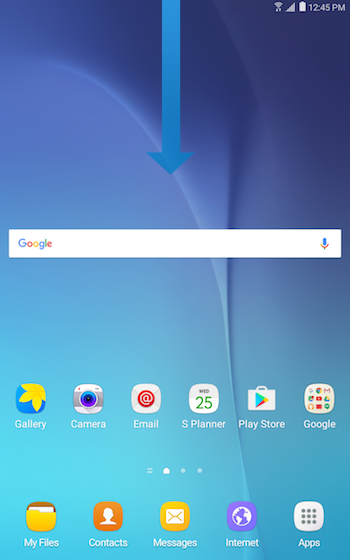 How do I stop the screen from automatically rotating on my Galaxy Tab E LTE? 2. 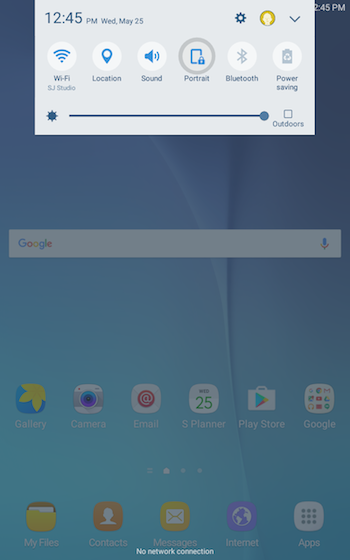 Touch Auto rotate in the Quick Settings Panel. The screen will not rotate anymore when you rotate the device. 3. To turn Auto rotate back on, open the Notification Panel and touch Portrait .